A classic recipe made quicker, easier, and foolproof with the use of a box cake mix. 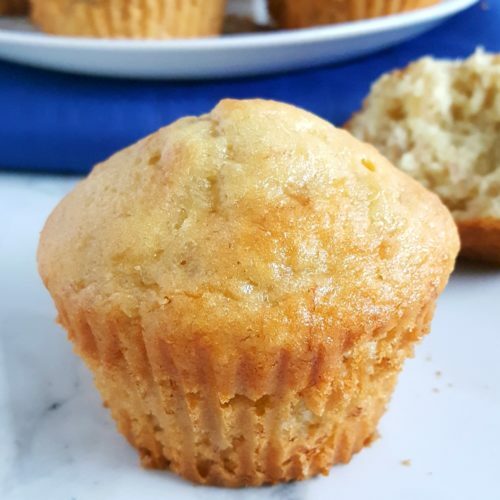 This cake mix banana muffin recipe is a keeper and is a go-to because it turns out perfect every time! As you can probably tell from this baking blog I’ve got going here, I enjoy baking from scratch. It’s great, but sometimes I just don’t have the time. This is why I always keep a box of cake mix on hand because there are so many ways that you can use it as a shortcut and this easy recipe is a great example. Adding bananas to cake mix has been a thing for a while now. 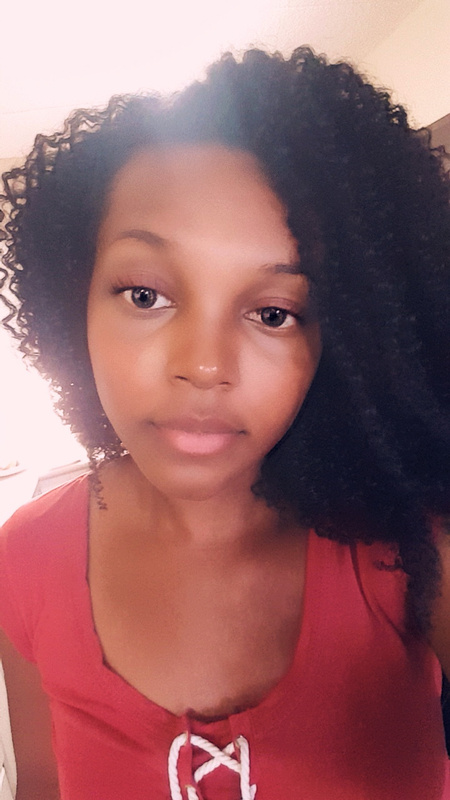 I swear I’m always late to these trends, but better late than never! 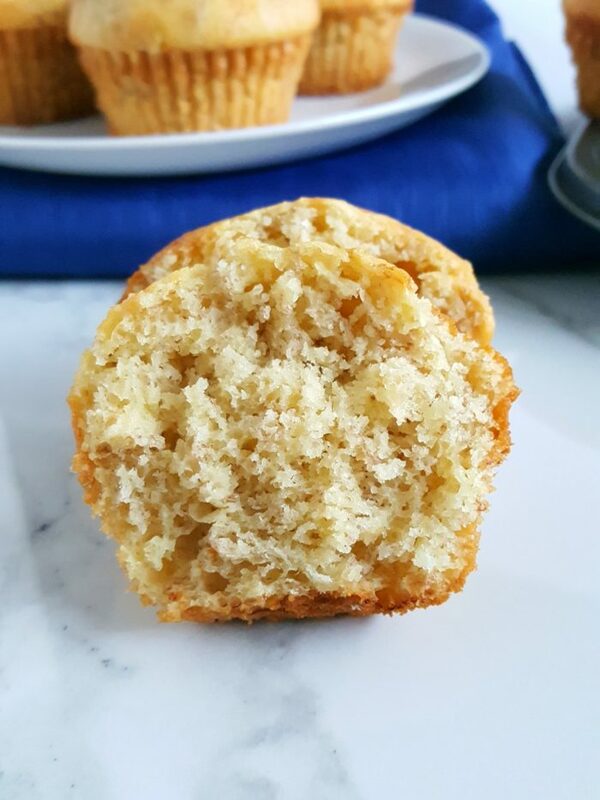 This is just a really easy cake mix muffin recipe to have in your back pocket and it’s an awesome way to improve cake mix. Who would’ve ever thought that you could make banana muffins with cake mix? By the way, this recipe fits in so well with the “theme” of this baking blog. It’s all about baking for beginners. Nothing complicated over here. 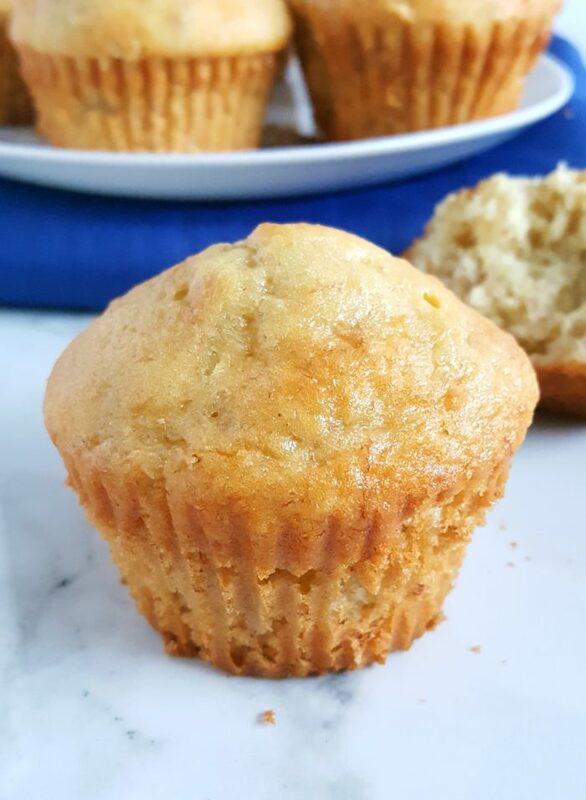 And in this post I’m going to show you how to make banana muffins the easy way! There are literally only 4 ingredients in this recipe. It can’t get any easier than this. This simple recipe is great for when you have overly ripe bananas that you need to use up before they go bad and you don’t want to make anything complicated. So make sure to add it to your list of overripe banana recipes! It’s a fantastic way to use bananas. 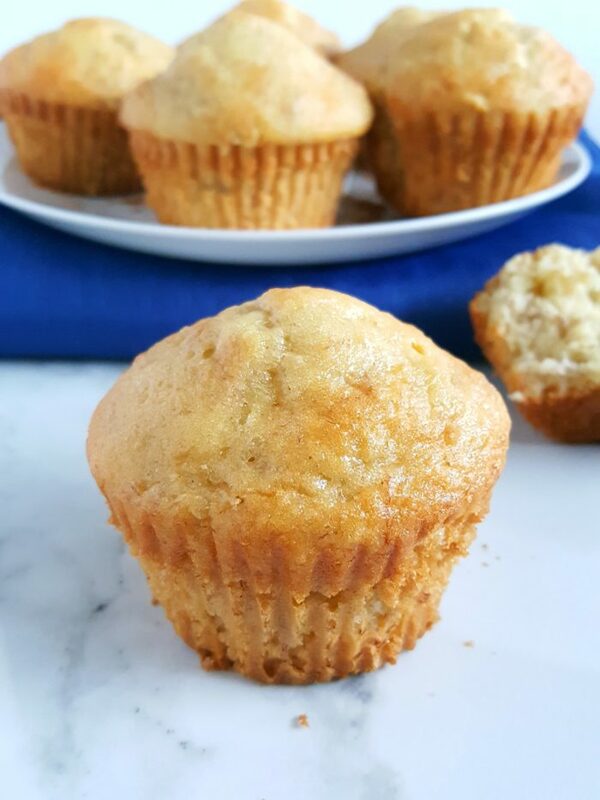 These easy banana muffins are so moist and fluffy and they’re so addicting that you won’t be able to have just one. This is just one of those cake mix recipes that are surprisingly better than how you think it will turn out to be. And hey, it may not be from scratch but it’s still homemade! Preheat oven to 350°F. Prep the baking pan and set aside. Mix together the bananas, eggs, and oil then stir in the cake mix. Scoop the batter into the muffin pan and bake. From cake mix to muffins just like that! I love that I didn’t have to bust out my big old bag of flour for this recipe. By using cake mix, you cut down on the need to measure or sift anything. Yay! Cake mix hacks are Lifesavers. I used the Betty Crocker yellow cake mix but you can also use Duncan Hines or Pillsbury. Note: Do not try to get 12 large muffins out of this batter. Believe me, I’ve tried because I love me some bakery style muffins but unfortunately it does not work out. There’s just way too much batter for that. This recipe yields 18 muffins exactly. These muffins turned out so fluffy and moist. You can thank the oil/butter for that and the bananas too, of course. The texture is different than traditional banana bread muffins. These muffins are lighter and more cake-like but still just as delicious. They’ll never be better than the real thing but they still taste pretty good and they’re great for when you’re short on time. It’s also a great baking recipe for kids. Baking with kids can be so stressful but with recipes like this one it can actually be really fun. No one has to pull their hair out because it’s so simple. So yeah, this is a kid-friendly recipe. And even though you might be able to tell the difference, the kids won’t! They absolutely love these muffins. They can’t get enough of them. And you already know if it’s an easy baking recipe for kids then it’s an easy baking recipe for beginners too. See, this is why I love baking with cake mix because there are so many things you can do with it; more than just making a cake or cupcakes. Never underestimate the power of a box cake mix. Top these muffins with streusel. Mix in cinnamon or vanilla extract for more flavor. 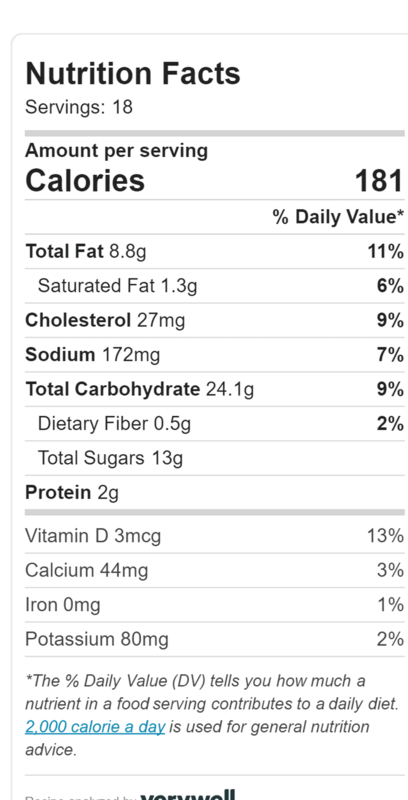 Add nuts, semisweet chocolate chips, or blueberries! Also, you can easily make this recipe gluten free by using gluten free cake mix or make it sugar free by using sugar free cake mix! I love how versatile and easily adaptable this recipe is. You can store banana muffins by placing them in an airtight container, covering them with plastic wrap or foil, or you can store them in a food-safe storage bag. They should keep for 2-3 days. Note that the muffins will most likely accumulate moisture (mine sure did). If you’d like to avoid this, line the bottom of your airtight container with paper towel before placing the muffins inside. 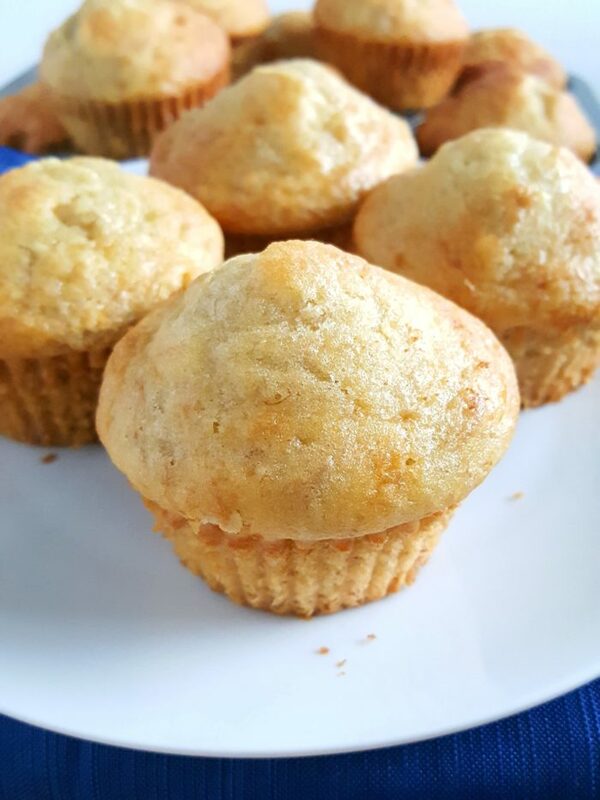 The next time it’s a busy morning and you’re short on time, just make some easy cake mix banana muffins for breakfast. They may be made be made with cake mix but no one has to know. And if you’re big fan of pumpkin try these cake mix pumpkin muffins! A classic recipe made quicker, easier, and foolproof with the use of a box cake mix. This recipe is a keeper and is a go-to because it turns out perfect every time! Preheat oven to 350°F. Line muffin pan with muffins liners (or spray with nonstick cooking spray) and set aside. In a large bowl combine the bananas, eggs and oil/butter until mixture is smooth. Add the cake mix and gently stir until combined. DO NOT over mix. Bake for 18 - 20 minutes until a toothpick inserted comes out with a few moist crumbs (not wet batter!). Cool in pan 10 minutes then remove. Using butter will yield muffins that are more rich in flavor. If you only have a 12-cup muffin pan, bake 12 muffins then bake the additional 6 muffins with the remaining batter immediately after.